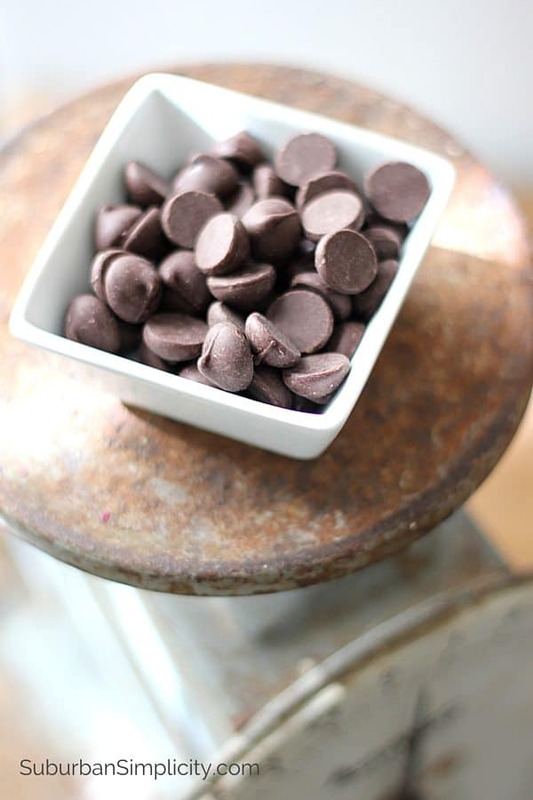 Do you crave dark chocolate? 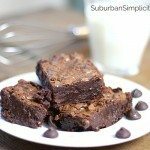 Then these Dark Chocolate Fudge Brownies are going to rock your dessert eating world. Try a homemade brownie and you’ll never make a boxed version again! 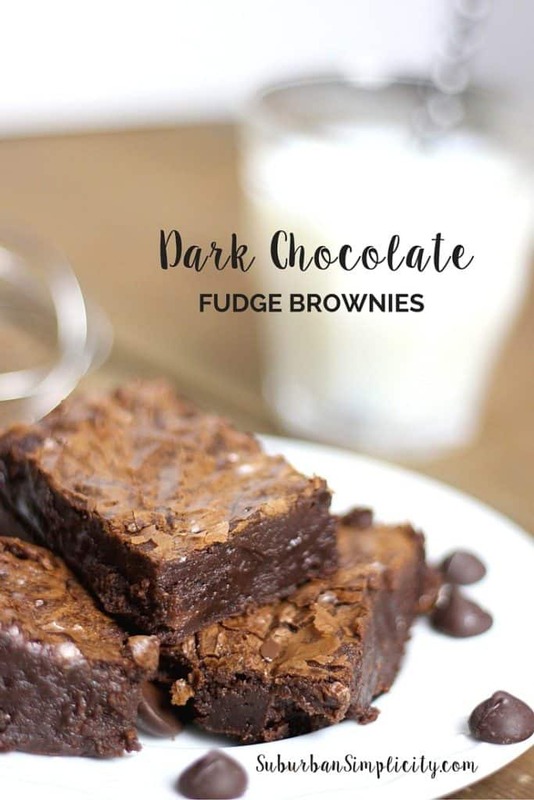 These Dark Chocolate Fudge Brownies are decadently delicious and bake up perfectly. Hello, it’s Erin from Suburban Simplicity. Who’s a chocolate lover? 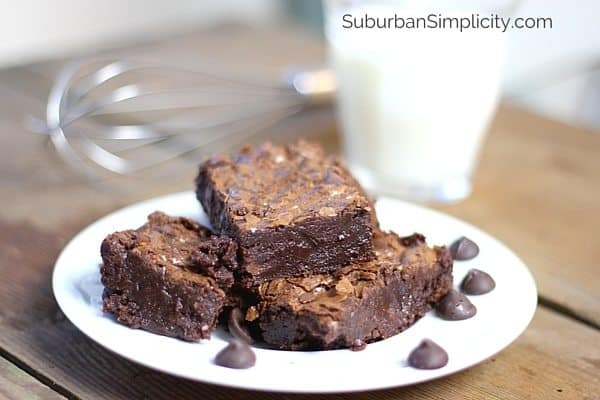 Silly question, I know 🙂 Well, this is the one chocolate recipe I’m asked for over and over so I thought I’d share it with my Melrose Family friends – Dark Chocolate Fudge Brownies. Mmmm. People can’t believe how much better homemade brownies taste than the boxed kind and with not much more effort. 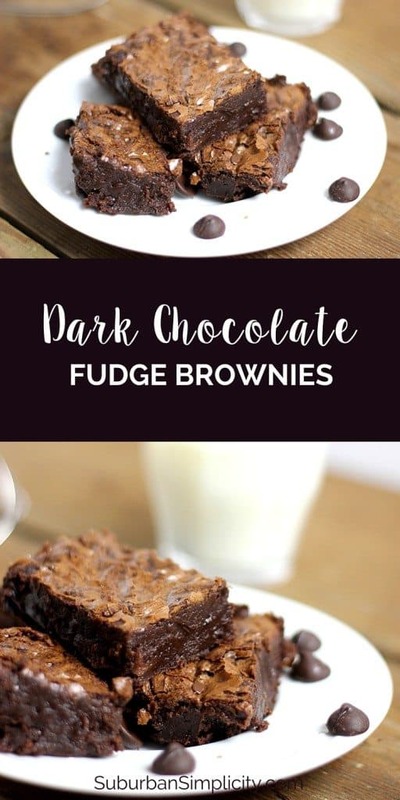 I prefer a moist, fudgy brownie and this recipe is just that! It almost melts in your mouth. I literally can’t keep them in the house for more than a day. Everyone wants a piece…or two! They’re kinda addictive. I never used to like dark chocolate, but that all changed with this recipe. And don’t forget the water…I did once and it didn’t turn out well! Preheat oven to 325º F. Grease 8-inch-square baking pan. Set aside 1/3 cup chocolate morsels. Heat 1 1/3 cups morsels, sugar, butter and water in small saucepan over low heat, stirring constantly, until chocolate and butter are melted. Pour into medium bowl. Cool slightly. Stir in eggs, one at a time, with whisk until blended. Stir in vanilla extract. Add flour and salt; mix well with wooden spoon. Stir in remaining 1/3 cup morsels and nuts. Pour into prepared baking pan. Bake for 30 to 35 minutes or until wooden pick inserted in center comes out slightly sticky. Cool in pan on wire rack. Cut into bars. The key to a fudge-like brownie is undercooking just slightly, so keep an eye on the oven because you want to take them out just as they get firm. They continue cooking a bit as they cool. If you prefer cake-like brownies, then leave them a little longer. Either way the flavor is rich and delicious. This is pure brownie love! So grab a glass of cold milk and enjoy. This is also a great recipe for you chocolate lovers out there! 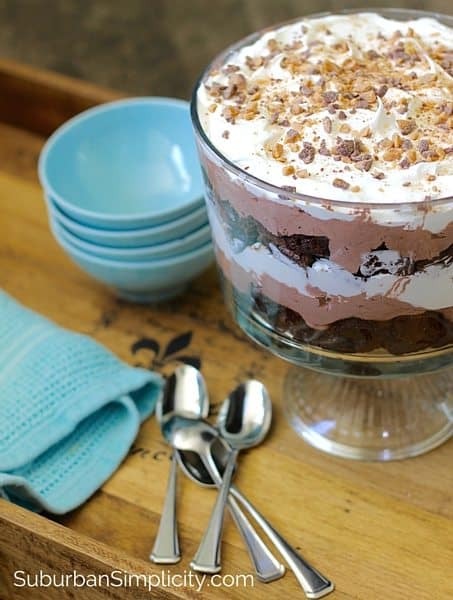 Layer these brownies in this Chocolate Trifle Recipe and wow, the compliments will be flying. You can pin the recipe for later here.